A new study led by University of Oregon geologist Gregory Retallack makes a case for earthly life having existed on land four times as long as was previously believed – 2.2 billion years, or almost halfway back to the planet's inception. Conventional scientific wisdom has it that plants and other creatures have lived on land for about 500 million years, and that landscapes of early Earth were as barren as Mars. Retallack and three co-authors on the new study detail their evidence of ancient life in the September issue of the journal Precambrian Research. Their research involves fossils the size of match heads, connected into bunches by threads in the surface of an ancient soil from South Africa. They have been named Diskagma buttonii, meaning "disc-shaped fragments of Andy Button," but it is unsure what the fossils were, the authors say. "They certainly were not plants or animals, but something rather more simple," said Retallack, professor of geological sciences and co-director of paleontological collections at the UO's Museum of Natural and Cultural History. The fossils, he added, most resemble modern soil organisms called Geosiphon, a fungus with a central cavity filled with symbiotic cyanobacteria. "There is independent evidence for cyanobacteria, but not fungi, of the same geological age, and these new fossils set a new and earlier benchmark for the greening of the land," he said. "This gains added significance because fossil soils hosting the fossils have long been taken as evidence for a marked rise in the amount of oxygen in the atmosphere at about 2.4 billion to 2.2 billion years ago, widely called the Great Oxidation Event." By modern standards, in which Earth's air is now 21 percent oxygen, this early rise was modest, to about 5 percent oxygen, but it represented a rise from vanishingly low oxygen levels earlier in geological time. Diskagma also holds some similarities to three living organisms, which were illustrated microscopically in the study: the slime mold Leocarpus fragilis as found in Oregon's Three Sisters Wilderness; the lichen Cladonia ecmocyna gathered near Fishtrap Lake in Montana; and the fungus Geosiphon pyriformis from near Darmstadt, Germany. The new fossil, the authors concluded, is a promising candidate for the oldest known eukaryote — an organism with cells that contain complex structures, including a nucleus, within membranes. "Researchers at the UO are collaborating with scientists from around the world to create new knowledge with far-reaching applications," said Kimberly Andrews Espy, UO vice president for research and innovation, and dean of the graduate school. 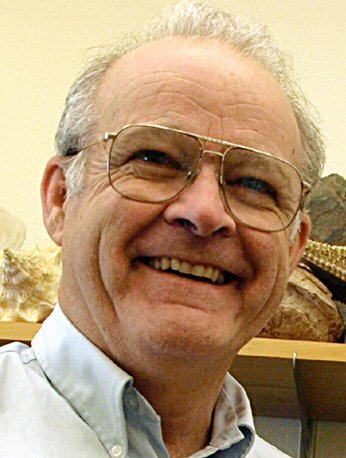 "This research by Dr. Retallack and his team opens new doors of inquiry about the origins of ancient life on Earth." The three co-authors with Retallack on the study were: Evelyn S. Krull of the Land and Water Division of the Commonwealth Scientific and Industrial Research Organisation (CSIRO), Australia's national science agency; Glenn D. Thackray, professor of geology at Idaho State University; and Dula Parkinson of the Lawrence Berkeley National Laboratory.